Here is the Formal Day advertising at assembly. Thanks Megan and Freya. You both look fab. ES Student Council Announcement from YIS Academics on Vimeo. Last week the Student Council went to the playground to ask children how things are going and if they had any suggestions for improvements. Here are soem photos of use sharing what we found out and a list of things that were common suggestions. We added an X next to things that will probably not be possible due to money, health and safety issues. We added ad ? next to the things we will find out more about. Next week we will investigate the playground equipement and perhaps complete a stocktake to see what we have and what we need to get more of. Today we starting planning where the KIVA collected money will go. 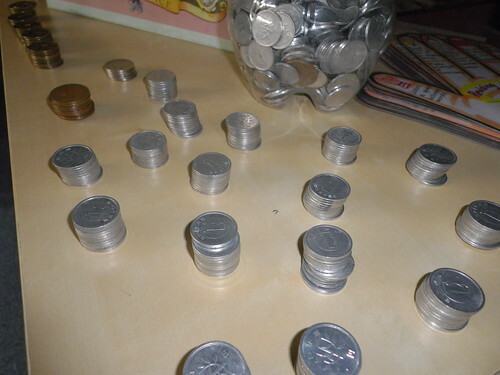 Some children helped count the money collected and others did some research into KIVA. A total amount of money and where it will be going will be posted soon. Thank you to everyone who brought in change to support the 1 YEN drive this year. We spoke about the film night that will be happening on Friday 15th. We could go to Homes to buy some shovels and buckets. All the toys need to be plastic like the ones on this link. We also thought that story time in the sandpit would be fun. The Student council would read a story or put on a show while the audience sits in the sand! Takumi took notes today and Polina will share the minutes with Ms Catasti. We also talked briefly about KIVA and how to choose a project. We decided that we will contact the Year 9 Students who have made some decisions about KIVA and see if they could present their ideas to the ESC. 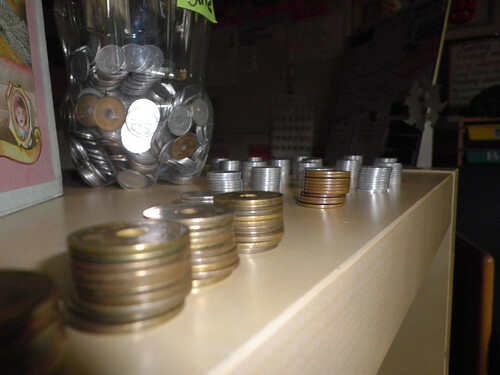 In turn we would present this idea to our classroom teachers and see if we could pool our money together. Of course some class teachers have already through about where the money they have collected will go. Great job at assembly ESC. Everyone went to visit the classrooms so now all the children and teachers know about KIVA and our plans for the 1 yen drive. Our next step is to provide donation boxes in each classroom… if needed. Many classes already had the donations started. We will talk again about this at assembly on November 1st. 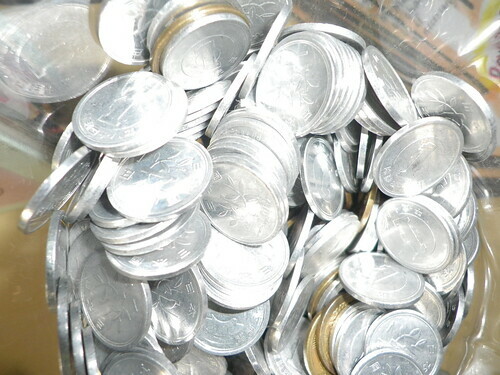 In the elementary school we will collect all the money (unless teachers have other plans) and decide where our money will go. We will ask Mr Clark to visit our meeting soon to talk about KIVA options. Problems and concerns:- bike seats are getting wet and its too crowded in the bike racks. Could we move the plants? Park under the cover? Get more parking? We will ask our own classes how many people ride a bike to school. Do they have problems? We will find out how many elementary students need bike parking and discuss solutions if needed next week. Also next week we will talk about the Food Fair. Today we reviewed our blog from last week and made a Script for visits to classrooms. The grade 3 children will introduce the 2013-14 Student School Council at assembly this Friday. Each G3 Representative will prepare to read some of the script that we worked on together. Each person will introduce themselves at the assembly and then on Monday next week each rep. will speak to their own class about the 1 Yen drive. Because the lower elementary classes don’t have reps. we will visit them. Elementary School parks there bikes and Middle School and High School students block the Elementary School students bikes. Some students were feeling lonely. Student Council students try to make them feel better. Food fair November 3rd. CARNIVAL!! How to pay? 5th Grade cleaning tables? Don’t forget that next week…. 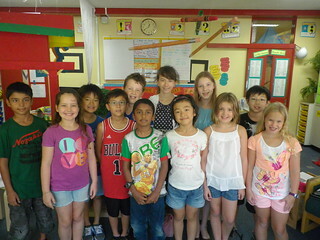 everyone will look at the KIVA website and we will make a script to tell all the classes about the 1 yen drive. Our next meeting Tuesday 1st is devoted to preparing for KIVA presentations to each grade and assembly. The following week, Tuesday 8th we will be talking about the bike racks problem. On Tuesday 15th we are talking about Food Fair. On Tuesday 29th we will meet with Ms Catasti about the playground and sand pit. 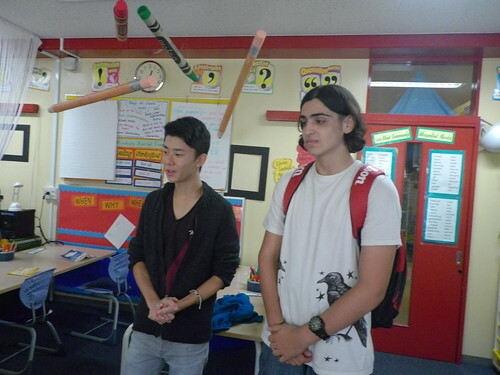 Today the High School Student Council, Arvin and Bobby came to speak to the elementary students about the One Yen Drive. We will be starting this year’s One Yen Drive in a few weeks. Each class will be involved in more decisions about where the money they collect will go this year. The One-Yen Drive this year will involve classes sponsoring families and projects through micro-loans with KIVA. At this stage we think that the elementary school council students will support by sharing information with their own classes, and take an active role in encouraging the children in their own classrooms to raise money. More information will be shared about this in the coming weeks. Thank you Arvin and Bobby for taking the time to meet with us this week. Thank you Polina for working on google docs to make a list of our student council members who will be taking minutes. Lukus is the first person to take the minutes. 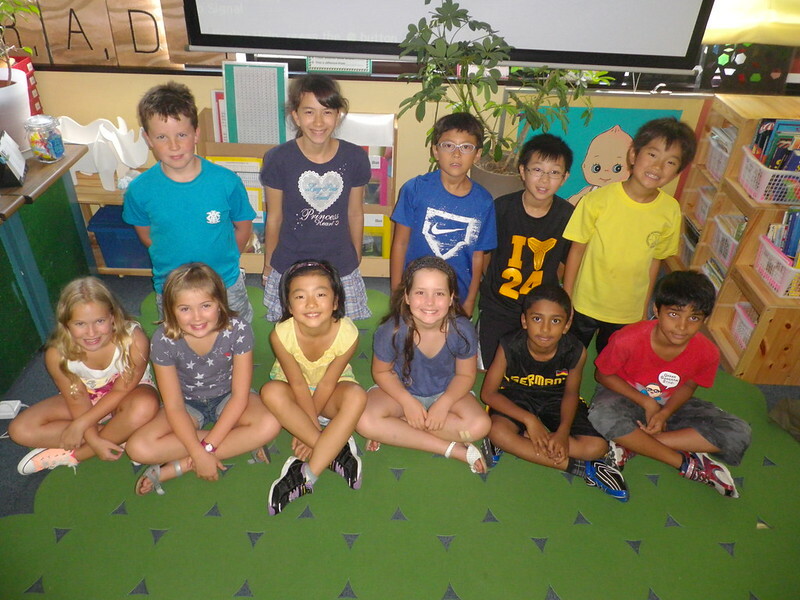 We are happy to introduce our new members, and welcome back many of our Grade 5 members of the Elementary School Council for the 2013 -14 school year. Ms. Catasti met with the ES student council members to review the development of the Elementary School Student Council over this first year. What do you think you have learned by being on student Council? I learned to be more responsible. I learned to be more caring. We learned that caring for other people and making friends is important. At first I thought that the school is so good, but when I joined the student council I saw that there are problems that we can solve and things we can do better. I think more about people who are in danger, like in Tohoku. What do you feel you have you achieved as an Elementary Student Council this year? What would you say to a student who was considering joining the student council? Maybe someone shouldn’t do it if they don’t care about others. If he is responsible it would be good. It depends on the person; it has to be right for that person. They need to be responsible. So there is a sense of commitment? You have to have commitment because you have to give up your Tuesday recess. If you are shy it might be hard because you have to speak when you go into classrooms and when you interview people and in assembly. You have to think positive. I think the people who are interested to try the student council are like a risk taker. How do you share Student Council news with the rest of the school? Sometimes I feel that the school is not really paying attention to student council. I think we need to do more advertising. We could have a display. A big paper with writing and pictures. Not just different posters. I see people go past and I think they don’t notice the posters. People don’t really know about our blog. We could tell everyone at assembly. Assembly is a really good way to get a message across. Maybe you could use that forum to promote the Elementary School Student Council for next year? Maybe we could tell everyone in assembly about joining next year? We could have one week or two weeks of student council pranks to start the year so people notice us. Thank you Student Council members for all your hard work this year. The Student Council is an important part of our school and it is good to see that you care deeply and have such good ideas. Maybe next year you could meet with the High School Student Council and get some ideas from them? Thanks again for all your work. You have achieved a lot in this first year.